The IC on the top is the genuine article (its an LED driver). It costs about €10 (+VAT) from a reputable supplier in small quantities (down from nearly €20 a couple of years ago). 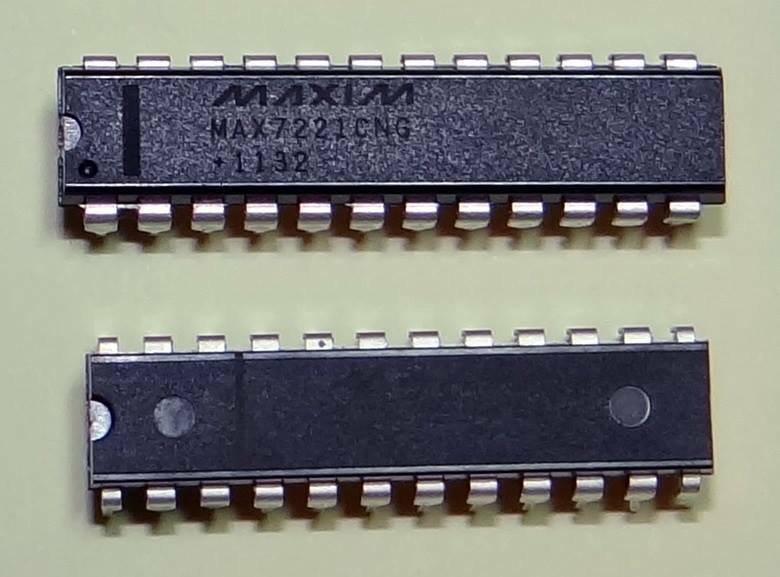 The IC on the bottom came from eBay. I got ten of them for €3.09. Not €3.09 each...€3.09 for all ten. Although you can't see it (because the quality of the laser etching is terrible and I couldn't get it to photograph), it has the Maxim logo (rough around the edges if you look closely), the same part number and at a glance looks like the real deal. Its only when you compare them side-by-side that you notice that the knock-off is physically smaller (that's not an optical illusion...it actually is smaller), has poorer quality legs, poorer plastic encasing and the laser etching is nothing like as good. More pertinently, at first it didn't work in the circuit I put it into where the real one did (although, to be fair, I was playing a tiny bit fast-and-loose with the power-supply decoupling: once I fixed that, the knock-off worked just fine). If you can't trust randomly-selected eBay sellers in the Orient who can you trust? It makes me wonder if that €30 Rolex I got is real.